Travel Path of ClearlyEnlight’s Long Term Budget Travels. The Travel Path between 2007 – 2011. Departed America, November 11th 2007! Egypt—Five Months—CouchSurfed two weeks in Cairo, and House-sat for one week in Dahab. 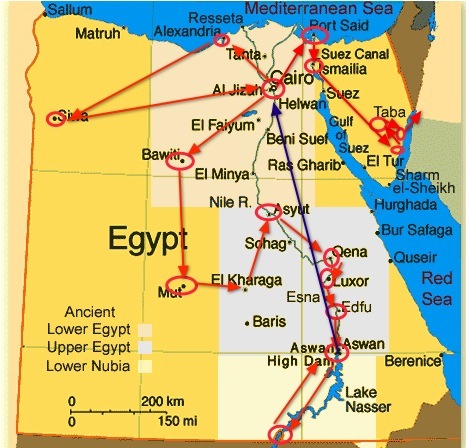 The entire time I traveled the country of Egypt slowly. 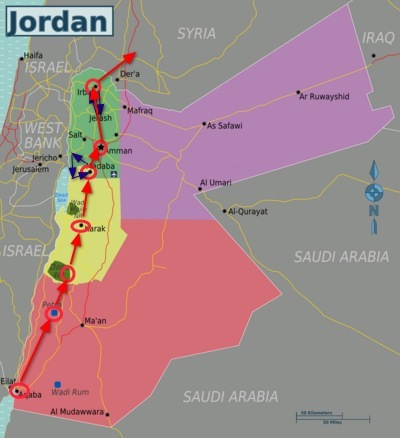 Jordan—One Month—Couchsurfed two nights in Amman. Traveled the tourist route except for staying in Amman and Irbid in the north. Syria—One Month—Rented a room in Damascus for 12 days, Couchsurfed for five nights in Aleppo. I did visit the east near the border of Iraq. Traveled the tourist route the remaining time. 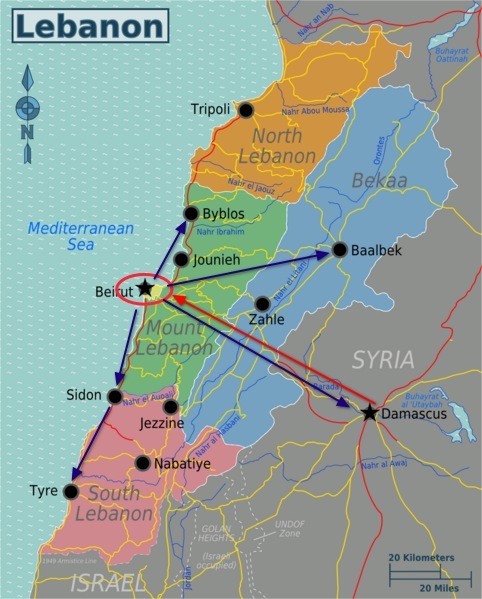 Lebanon—Two Months—House Sat for the enitre two months “nine weeks” in Beirut. I took three day trips; Tyre/Sidon, Baalbek, and Byblos. 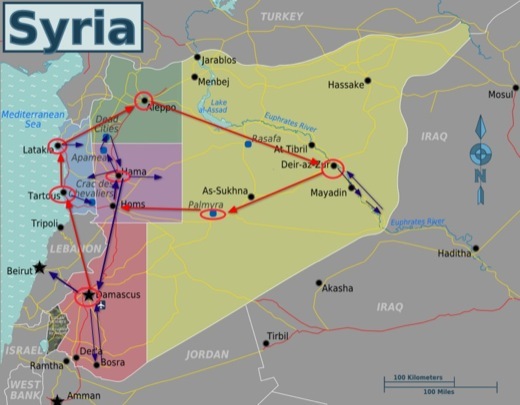 In transit to Turkey through Syria, I stopped in Damascus and rented a room for four nights. 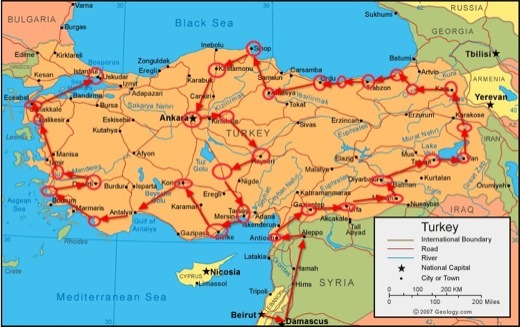 Turkey—Two and a Half Months—Traveled the Southeast, East, Northeast and the Black Sea coast during Ramadan. Then Traveled south through Ankara through the interior to the south coast. After most of the non-touist locations of Turkey, but rich in culture, I traveled the toruist route of the West. In transit to Israel via Athens from Istanbul, I couchsurfed one night in Thessaloniki, and I stayed in Athens for two nights. 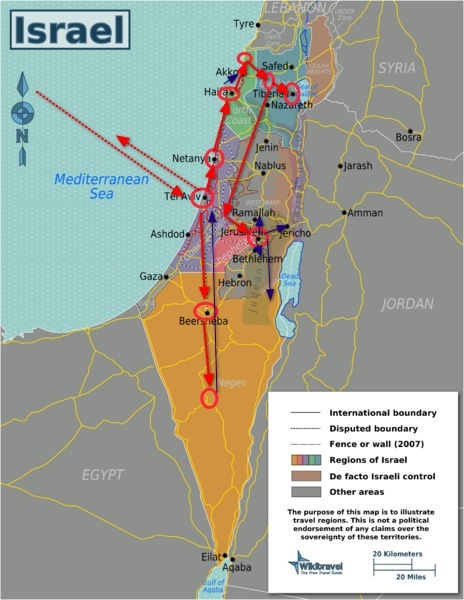 Israel/Palestine—Three Months—Couchsurfed three different times for a total of six days. Stayed on an Organic farm for five weeks—stay with the sister of the organic family for one week, and then stayed at her brothers house for four nights. After, I rented a room in Jerusalem for three weeks. I rented a car for four days to travel the north. The rest of the nights were in hostles around Israel. I took day trips to Ramallah, Jerico, and Bethlehem in the West Bank. I need to find a good map of Greece. Greece—Two Months—Couchsufred total of nine nights, three nights on Crete, four nights in Kalamata, and two nights in Athens. I stayed at an organic farm for two weeks in the area of Patras. I traveled Crete for two weeks, Athens for a week in total, and Peloponnese the remaining time. Traveling north I visited Delphi and Meteora. Bulgaria— April 15 2009 and nested 13 months and 2 days. I lived in a small traditional village. Departed May 17 2010. 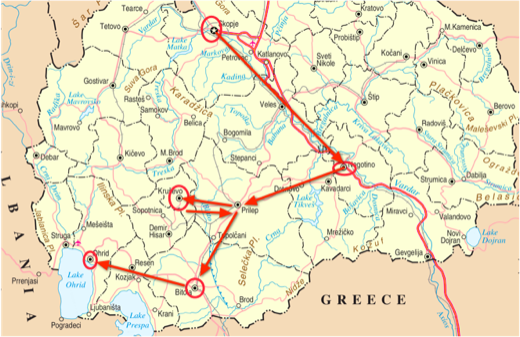 Macedonia—Two Weeks—Just stayed in Hotels except for renting a room in a house in Ohrid. 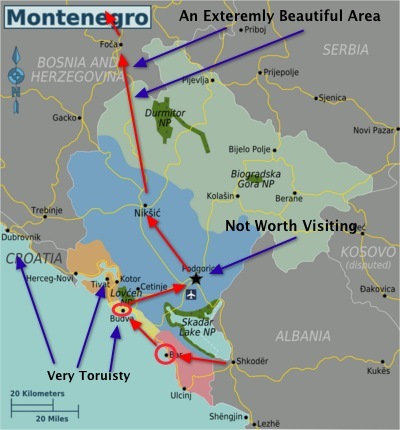 Albania—Three Weeks—I rented several rooms in room, but hotel style just not with the price. The number one factor that drove me to leave Albania was the poor quality food including the raw food. Montenegro—I only stayed in for five nights, but did rent a nice flat in Bar for only 15 Euro a night. Serbia/Belgrade—In between traveling Bosnia and renting the flat in Sarajevo I decided to visit Belgrade for two weeks. 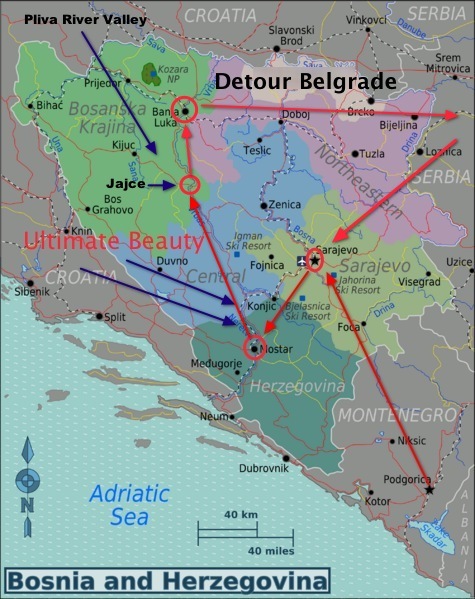 After staying in Belgrade I rented a flat in Sarajevo for six weeks for 300 Euro by contacting someone on Couchsurfing. From Sarajevo I took the overnight train to Zagreb for one night then onward to Budapest. I stayed six nights in Budapest Hungary renting a room from a Grandma lady and them moved on to Slovakia for one week. Poland: I traveled Poland for three weeks with two weeks renting a room in Krakow. Germany: I traveled from Warsaw to Berlin to process my visa for India. I stayed two weeks in Berlin and then took a train to Munich until I departed for India. I took a three day detour to Salzburg Austria while in Munich. From Germany I flew to India for 5.5 months. Then back to Berlin with a Detour to Gdansk Poland. 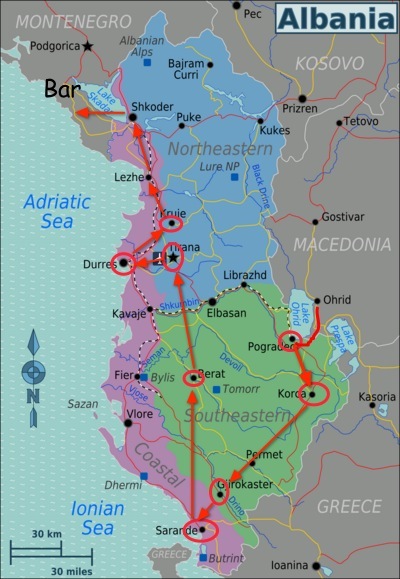 For the summer I will be nesting in Bulgaria where I lived for a year. This page will be updated with a map of India. A oneway flight from San Francisco via Amsterdam to Cairo. One round trip flight from Athens to Tel Aviv. 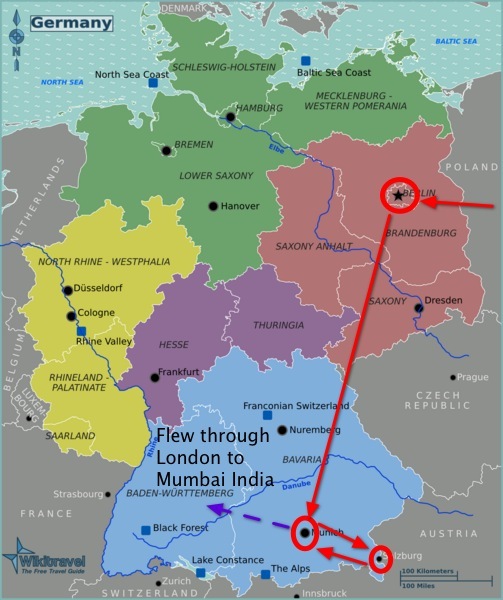 November 11 2010 after three years I departed the region of Europe and Flew from Munich Germany to Mumbai India. April Flew back to Berlin through Moscow. Then to Bulgaria for the summer and back to Berlin and then through Iceland to Minneapolis. Pre-booked first hotel before I arrived in Cairo, room on arrival in Tel Aviv, booked a room on the for the arrival into Mumbai. I pre-booked all three fights over the Web. I only went on two tours. Day Tour: Alexandria to Rosette in Egypt, The tour ended up being a joke. Day Tour: I took a tour over to see Gallipoli in Turkey. In Egypt I did two Desert Safaris and two Fellucca Nile River rides for a total of five nights. The Temple of Bel, Syria. There are other non-offcial tours, some by village kids. I bought a car in Bulgaria but sold it before I departed in May. The Circle Defines at least one night stay over, no circle defines as transportation transfer, a blue defines as direct transportation and/or day trips.